7 Nov 18 - Source: Myanmar Times - Yangon is home to two beautiful gardens surrounding man-made lakes – Kandawgyi Lake and the Inya Lake – that provide a welcome respite to the hustle and bustle of city life and a major attraction for foreign visitors. The two artificial lakes were constructed by the British colonial administration in the 19th century to serve as recreational areas for the growing population of Yangon, which was then a major regional trading hub. First to be built was Inya Lake, construction of which in 1882. It was completed in 1883. 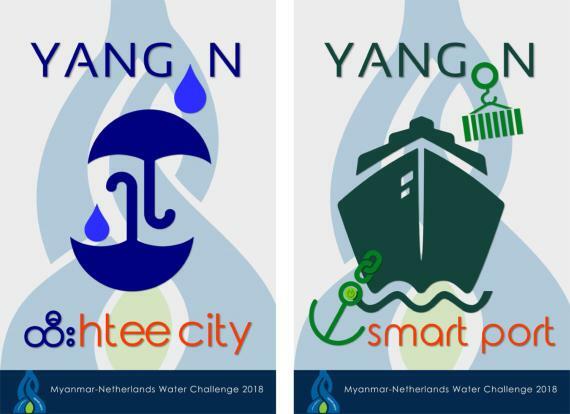 It is considered Yangon's largest lake with its surface spanning an estimated 388 hectares. According to folk stories what is now known as Inya Lake was once a cluster of lagoons, swamps and creeks before it was submerged to become a reservoir for the burgeoning population of the seat of the British colonial administration. The lake was formed by joining small hills that surrounded the creeks, swamps and lagoons, which formed during the monsoon season. It is located about 10 kilometres north of the downtown area and bounded by Parami Road on the north, Pyay Road on the west, Inya Road on the southwest, University Avenue on the south, and Kaba Aye Pagoda Road on the east. Its picturesque banks have gained the reputation as a go-to place for young couples stealing a few moments to be by themselves, especially student couples from a nearby university. The area around Inya Lake is possibly one of the most upmarket areas in the whole of Yangon, and several posh residences and mansions are located there, including the home of former Myanmar strongman General Ne Win, who ruled Myanmar from the 1962 coup up to 1988. Along the lake also stands the house of the late Myanmar independence leader Boyoke Aung San's widow, where their daughter and now State Counsellor Daw Aung San Suu Kyi spent most of her years under house arrest. The lake also gained certain degree of notoriety during 1988 Uprising against the government, where students marching along the causeway called White Bridge, were allegedly herded, beaten and drowned by government troops. Just recently, the lake has been classified as a heritage area by the government. A few kilometers from Inya Lake is the Kandawgyi Lake, which is only about 1.4 kilometres from downtown Yangon. This 61-hectare reservoir which was built in 1884 is actually fed by water from the Inya Lake through pipes. But unlike the Inya Lake, where most of the banks are inaccessible to the public because it is occupied by private individuals or companies, most of Kandawgyi Lake, if not all parts of the lake, is accessible to the public. It has become one of the favourite weekend getaway of the city folk. The lake is surrounded by a 45-hectare forest reserve called the KandawGyi Nature Park and the 28-hectare Yangon Zoological Gardens. The lake itself is bounded by Natmauk Street to the north and east, Bahan Street to the west, and Kanyeiktha Street to the south. On its southern and western sides is the 6,000-metre wooden boardwalk that stretches from the gate of the Signature Restaurant to the gate at the Karaweik Palace. Some portions of the boardwalk are undergoing repair because some of the planks and posts have rotted. On the southern side of the lake floats a shrine to Shin Upagot. Upagot is a Buddhist saint who is said to protect man from danger. On the eastern side of the lake stands the golden royal barge shaped like a Karaweik, a local mythical bird. 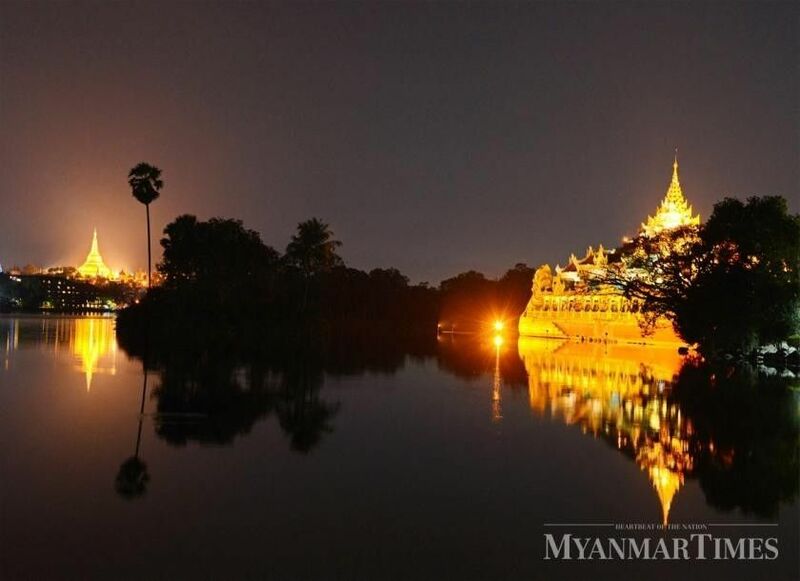 It is a concrete structure that looks like two enormous golden birds with a roof in the shape of a Pyatthat, a Myanmar multi tiered and very ornate roof structure. The Karaweik barge replica was built by the government in 1974. Near the Karaweik barge replica are restaurants where people can enjoy the gentle breeze while sipping cold drinks or hot coffee or tea.